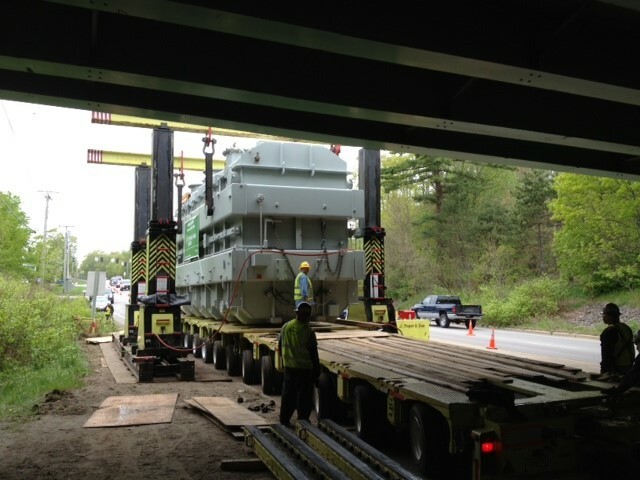 Peak Engineering provided a structural analysis for the bridges along the route and traffic control plan for the transport of a transformer to the Central Maine Power Maguire Road Substation in Kennebunk, ME. Multiple routes were investigated and rejected for the move from the rail siding before deciding on the best route. There was one structure along that route that did not have the vertical clearance required for the load to pass underneath, so the transformer needed to be removed from the trailer at this structure and moved under the structure with a jack and slide, then lifted back onto the trailer to complete the route to the substation. The jack and slide operation was completed overnight and took 15 hours to move the transformer 360 feet under I-95. A gantry system was used to lift the transformer on and off of the transport vehicle. Peak prepared a maintenance and protection of traffic plan for the jack and slide/gantry procedure and provided coordination with all affected agencies, utilities, and municipalities along the route as required. 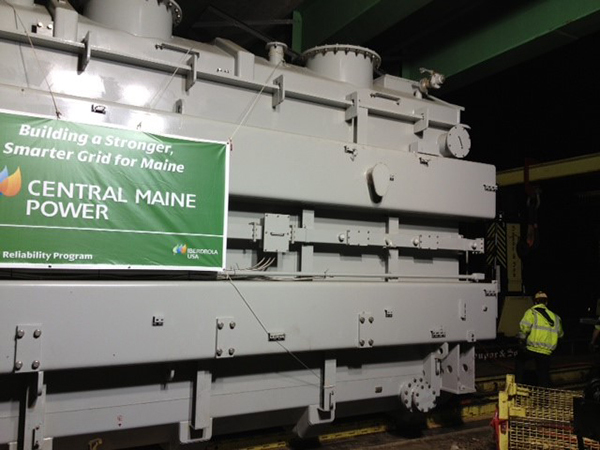 Peak Engineering also worked with Central Maine Power to provide the rigging plans to jack and slide the transformer from the railcar onto the transport vehicle and prepared rigging plans for transferring the transformer to its permanent foundation at the site.